Look for Emergency, Disaster, Survival products including: Hand warmers, heating pads, radios, flashlights, portable stoves, fuel tablets, waterproof matches, slow burn emergency candles,36 hour survival candle, code red batteries, maglights, emergency lightsticks, and more below. Discount for case of 200 No batteries ever required. This light will never let you down - It always works. Two bright LED's will last hours once fully charged. Only one minute of charging gives 15 to 20 minutes of light. Convenient wrist strap for easy carry. 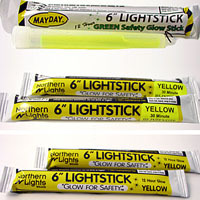 Perfect for glove box, night stand, and all emergency kits. Go Green - Give Batteries the Boot. 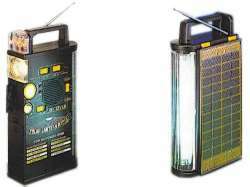 Converts Free Solar Energy for rechargeable lantern, blinking light and AM/ FM radio for indoor or outdoor use activity. 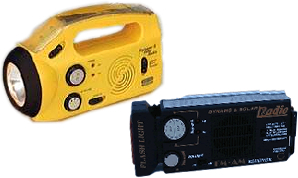 These units also have a hand generator when solar power is not available, or they can use 2 AA batteries. 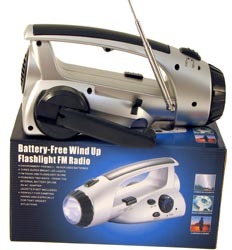 Great for power failures  IT NEVER NEEDS BATTERIES  IT ALWAYS WORKS. Both Units perform the same functions, the C/78F is more compact for tight storage situations. 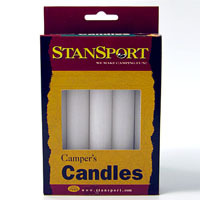 1,000,000 candle power, cordless spotlight. 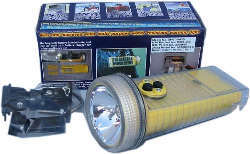 Recharger included with this quartz halogen spotlight. 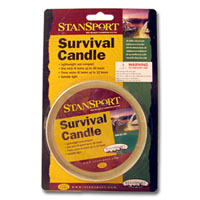 Great for emergency roadside repair, camping, or marine use. Price $17.95 Product not available. 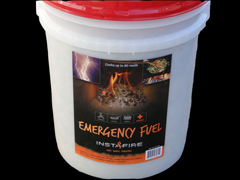 The 5 Gallon bucket of Insta-Fire, labeled as an “Emergency Fuel,” has approximately 80 full cup uses and 160 ½ cup uses. This bucket has the capability of starting over 350 fires, or starting up to 50 charcoals nearly 150 different times. 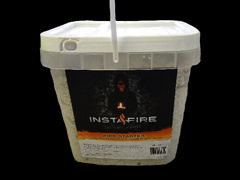 The 2 gallon bucket of Insta-Fire Fire Starter was originally designed for the RV and camping industry. 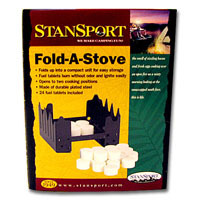 With a flip top, recloseable lid, the 2 gallon bucket is capable of starting well over 120 fires, or starting up to 50 charcoals nearly 75 different times. 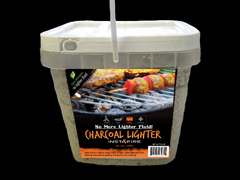 The 2 gallon bucket of Insta-Fire Briquette Lighter is a safe, all natural way to light charcoal without the flare up of using lighter fluid. 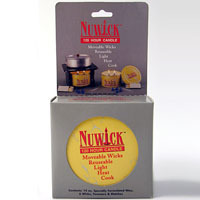 With a flip top, recloseable lid, the 2 gallon bucket is capable of starting well over 120 fires, or starting up to 50 charcoals about 75 different times. 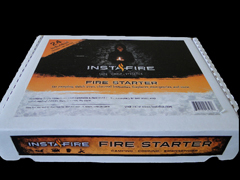 With 24 single use ½ cup packages in each box, this product can start up to 48 fires or start up to 50 charcoal briquettes over 35 different times. 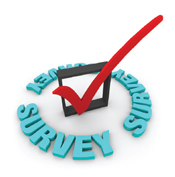 Each pack has a recloseable zipper so the customer can use as much or as little as is needed. 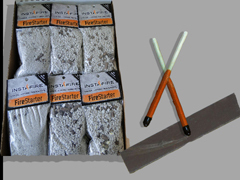 Half cup, single-use packages are capable of starting up to 3 fires each or up to 50 charcoal briquettes. 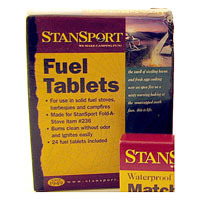 These feature a zip lock recloseable package for ease of use and safety. 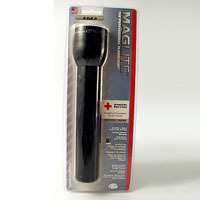 Multi-purpose, water resistant, warning light with TWO power systemsrechargeable solar or AA battery power. 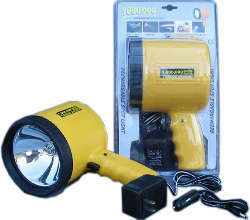 Functions as a bicycle light, searchlight, warning light, or portable torch. Also good for diving. Rechargeable battery is detachable and can be used as a battery charger for other appliances. 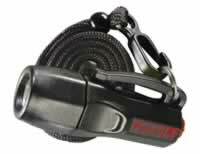 Bicycle mount and belt clip included. Just shake to recharge. 15-30 seconds of shaking will give up to 5 minutes of continuous use. Shake at least 1 minute after extended non use. Super Bright LED light - Optical Light - Always works 10 seconds of charge gives 8 minutes of light 1 minute charge gives 25 minutes of light. Requires 2 ''D'' batteries. Can be seen up to one-mile away. Two operation modes. Standard constant bright and blinking mode. 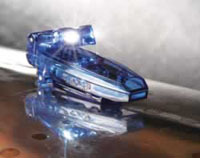 The L1 LED flashlight provides a concentrated close quarter beam. 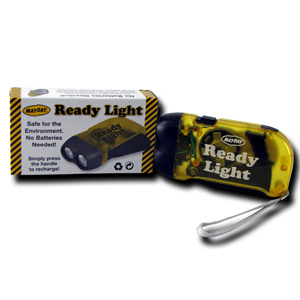 The LED lamp provides up to 50,000 hours of usage and uses four replaceable 1.5v alkaline batteries that provide up to 130 hours of battery life. Includes neck lanyard and the Pelican Lifetime Guarantee. Holds a Charge for 3 Years - 5 years with Battery Back Up. Provides 10 hours of light on a single solar charge. Super bright LED (40 Lumens). Water proof up to 80' and it floats !!! !